Clients love reports when they are done right. Most of your clients don’t care about the gritty details; they just care about the sense of security you give them. It doesn’t matter whether you store backups in two different geographical locations or whether you check malware on a daily or weekly basis. What matters is that you hold up your end of the bargain. The client report is a perfect way to impress your clients by going above and beyond their expectations. The old ManageWP client report lacked the depth and visual appeal it needed to impress users. When Orion went into development, we decided that the Orion client report would be beautiful and highly informative and that it would give you the “wow” factor to justify the cost of your service. Full client report customization: Each client has his or her own needs, and you’re probably using (and charging your client for) tools that aren’t necessary to those needs. By fully customizing the look and content of your client report, you can finally get the kind of report your business needs. Scheduling: We built ManageWP to help you make the most of your time by automating as much of your work as possible, allowing you to focus on the things that matter. Scheduling your client reports and automatically sending them to your clients is the next logical step. Localization: We love our users outside North America, and we know that while you probably have a good grasp of English, your clients may not. Paying attention to things like language shows that you are seriously committed to your work. In Orion, you will be able to translate every line of the client report. Scope of information: As new apps are introduced into Orion, they’ll also be included in the client report. You can expect more information in the future, such as uptime monitoring and security scan logs. Audit log: Functionally, this might be the biggest change. So far, the client report has been geared toward the clients to whom you provide your service. The audit log will make it a useful internal reporting tool as well. Just imagine—everything on your website gets logged, from content changes, user logins, and role changes to tweaks in the website layout. Everything people do on your website will be recorded (even if they don’t do it through the ManageWP dashboard), thus helping you monitor your website activity to catch security red flags or someone slacking off. Our Audit Log can be utilized in numerous ways, and we’re very excited about its development. We mostly kept this pretty amazing piece of tech to ourselves, so it requires a bit of backstory. If you’re a ManageWP user, you might have noticed that your Worker plugin is automatically updated from time to time. For the past year, we’ve been experimenting with ways to improve the WordPress update process, and we’ve successfully increased the Worker update reliability using fail-safe measures that disable the plugin if a fatal error occurs. Instead of crashing your website, a failed update will just require you to reinstall the Worker plugin and reconnect it to your ManageWP dashboard. Starting this week, we’ll take things further. Instead of deactivating itself and forcing you to reconnect the website, the Worker plugin can now detect the file mismatch, rebuild itself, and reconnect to the ManageWP dashboard—all this without you taking a single action. Once we’ve fully implemented this technology, it will usually complete the Worker update before you even notice it. Everything will be done automatically, and the Worker plugins will be able to monitor and repair themselves. Likewise, any potential tampering with the plugin files will be detected, and the files will be reverted to their original state. You can now browse through each restore point and view its content. We are currently working on two improvements for the tree view: the ability to see which files have recently been changed (ideal for tracking unauthorized changes on your website) and the option to download an individual file or folder (which is great if you want to roll back only some of the changes you made on the website). We’ve compiled a list of commonly asked questions in the Orion FAQ. If you’d like to know anything else, let us know in the comments section. Want to know more about Orion? Check out our previous Developer Diary where we discussed the new backup system. UPDATE: The Developer Diary #5 is out, with more Orion goodies! Check it out! Would love to try the beta of Orion. Is that still possible? And what’s the upgrade or transition plan for Orion? The beta is closed, but as a Trial user you can access the Orion dashboard after you’ve added your first website – just click the tab icon at the top right of your ManageWP dashboard. The rollout plan will be published next week, keep an eye on our blog! Hi Guys, just picking up on this. When do you think you will have scheduling live? It’s not a critical feature, so the current estimate is 1-2 months after Classic goes away. 🙁 🙁 Will we be able to add a clients email address into the sheduling system I take it? Yes, although we haven’t settled on the flow: either to send them automatically, or to prepare them and just wait for you to inspect and send them. Do you have a timeline for adding SEO and Up time to the reports and how robust will the SEO section be? We are loving Orion by the way, great job! Our product team is still working on the SEO specs. I can’t give you any details for now, but keep an eye on our blogs for more info. 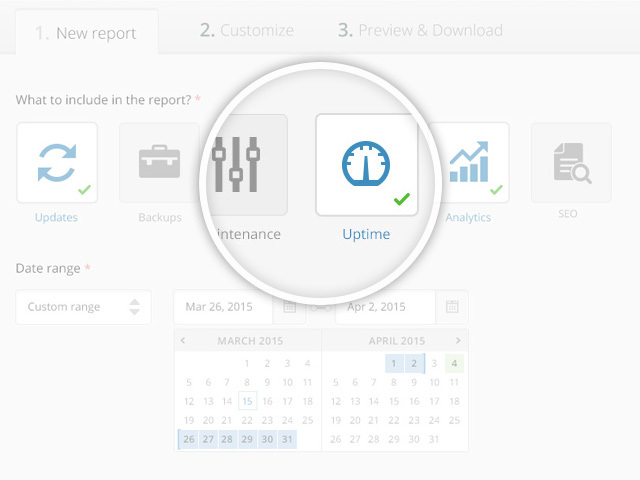 Uptime monitoring as a tool should be added into Orion next week, SEO tool in February. The reporting functionality for both tools should be ready a few weeks after the tool is released. Awesome thanks! You guys are really up on your timelines and letting people know whats going on every step of the way. We appreciate that! 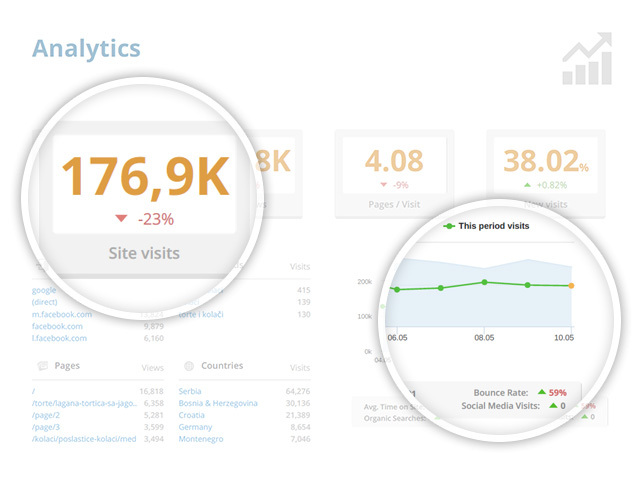 Would love to see, Social analytics added to client reports. (Facebook analytics) Then ManageWP would be the one stop shop for client reports! We are really looking forward to Orion. Would love a beta invite. I’ve resent the invite from 5 days ago, let me know if you still haven’t received it. Waiting for Orion Beta. thumps up for backup tree view. Previously I requested access to the Orion beta. Since then I cannot find my comment but wanted to ask how we will be notified with the invite? Do i take a guess in saying an email? No worries, you are in our beta queue – when we open up more slots I will send you an email invite. We currently send our clients a report on the plugins they have installed, if they are active or inactive and if they are the running the latest version. We also say whether the current version of wordpress is the latest version as well. And finally and most importantly we give a count of the tasks we’ve actioned for them and how many are still in progress. Will we be able to if not via API provide these manually for each clients report before creating the PDF and sending it off? While we currently have no API plans for the client report, you will be able to manually add whatever you like before sending the report to your clients. Excellent changes, guys! Thank you very much for all of your hard work! This looks really great. Can’t wait to use it. Could we have an invite to the beta in the next batch of invites? Also, an idea. The backup to Dropbox, Would it be possible for a synchronised/incremental backup that only copies new/changed files? 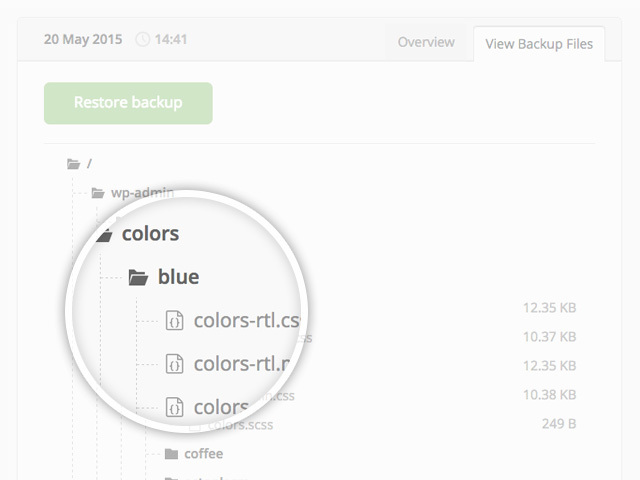 A WordPress plugin called BackWPUp does it but can have problems on some hosting platforms. It might make it quicker to do backups of larger websites. The new backup is incremental, but, it’s no longer supporting Dropbox. The previous developer diary covered this in more details. I would love an invite to the beta as well. Thumbs up on this! Thanks. My feedback: I do not need analytics so much, because we do that via either Analytics itself, or Raven tools. But a good accounting of what we do for security, speed, backups, and upgrades will be very helpful. Thanks for your feedback – this is why each option in the client report is optional. We want you to use the client report the way you want to, not the way we think you want. Can we also compare Goals reached and create trigger alerts? We haven’t given it much thought, TBH. What practical application did you have in mind? the client report should have api , for example I can integrate with any todo list api to list out all the task I done for this particular client, bundle it in the report, should be one killing feature. Everyone from the comments has been added to the beta invite list. If you haven’t gotten the invite, you’ll get it in the next batch of invites next week. I would like to be part of the beta. I would really love to be a part of the Orion Beta if you’re still adding folks. Exciting to see everything you’re working on! I was planning on waiting for the public beta, but after reading all these blog posts I don’t want to wait any longer 🙂 Any chance you can add me please? I can’t wait to get started with Orion. Could you please add me to the closed Beta. This is looking great guys. I really can’t wait to get to use these features. Please would you add me to the closed beta? Fantastic, Amazing, предиван!…Dreaming out loud here: I wonder if there would be a way to automate WordFence activity into the Client Reports. I’m thinking some way to pull in stuff like: ‘IP addresses locked out due to too many failed login attempts: 233′. Sometimes, just for fun, I’ll watch the live scan and look for sketchy visitors and lock’em out. Like a game of whack-a-mole. Clients LOVE hearing about how I’m keeping them safe. Already on the road map! While Wordfence is a really popular plugin, it hasn’t aged well. We also took a look at other security plugins, and in the end decided to build our own security. Another popular Wordfence feature we’ll be introducing in our security is the plugin and theme comparison with the WordPress repo – any deviation from the original code will be flagged and brought to your attention. But enough of spoilers, all in due time. For now I can confirm that we want to put everything you do for your clients into the report. Orion is all about pushing UX to its max – that’s how I am seeing the story unfold 🙂 . Keep going guys! Everything that you said about current lackings of the ‘Client Report’ are so true. This is a pain point for me and I am so very glad that you are addressing this in a major way 🙂 All the best. Thanks! You guys deserve the best user experience possible, and that’s what we’re trying to accomplish – no easy task, TBH. I’ve personally sent you the invite on Feb 5, can you check your inbox/spam? The client report is absolutely needful, especially with full customization and scheduling! It makes it easy to show the utility of maintenance. And the phrase “you will be able to translate every line of the client report” is music to my ears. Great job! Any chance of automatically emailed reports on a (say) weekly basis? You will have several scheduling options, of course. Not everyone operates on a monthly basis. Looks great! Can’t wait for more features to be unlocked!